This is a crowdsourced map of PB projects, past, present and future in Scotland. You can search for participatory budgeting projects near you and submit ones you know about that aren't there already. Did you find our PB map useful? This map is a work in progress - if it doesn't work for you email us and we can help. We want to know about all the PB that is happening across Scotland. To do that, we're asking you to tell us about local projects, big or small, that you know about. Together we can build a map of all the PB that is happening in Scotland, past, present and future. Fill in the information listed below. We'll review it and add it to the map. Thank you! Your entry will be confirmed by the PB Scotland team and added to the map, usually within a couple hours. Got another entry to submit? Click here. Got a lot of entries? Email us and we can do it for you. All submissions are reviewed before posting by PB Scotland staff. Duplicates and non-PB projects may not be added. All contributions are subject to the PB Scotland terms and conditions. 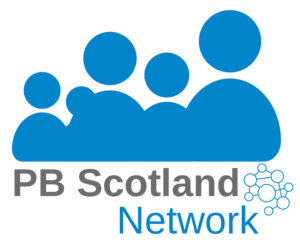 For any questions, or if you're having problems with the form, email info@pbscotland.scot.